The Iranian regime's desperate attempt to demonize the Iranian resistance, including the PMOI MEK or Mujahedin-e Khalq as well as the National Council of Resistance, has to be seen in the context of the regime's, increasing paranoia about the role and the impact and the effectiveness of the MEK in organizing and directing the anti-government protests that have erupted in Iran over the past year. 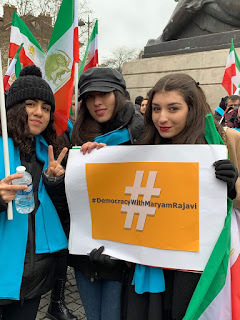 On the eve of the 40th anniversary of the anti-monarchy revolution in Iran,a huge rally was held on Friday, February 19, in protest against the massive violations of the human rights and terror operations directed by the Iranian regime on the European soil at Denfert Square in Paris. 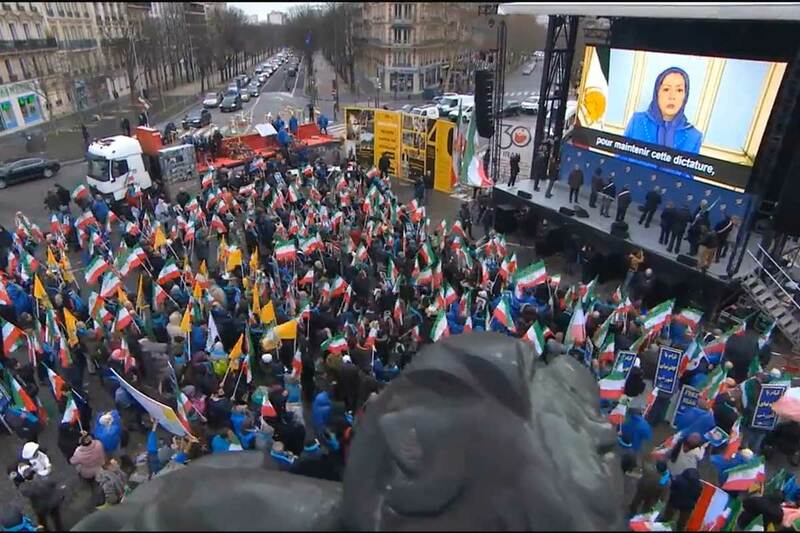 Mrs. Maryam Rajavi, president-elect of the National Council of Resistance of Iran (NCRI), delivered a video speech to the Free Iran Rally in Paris. You convey the cries of all Iranians against tyranny and dependence. 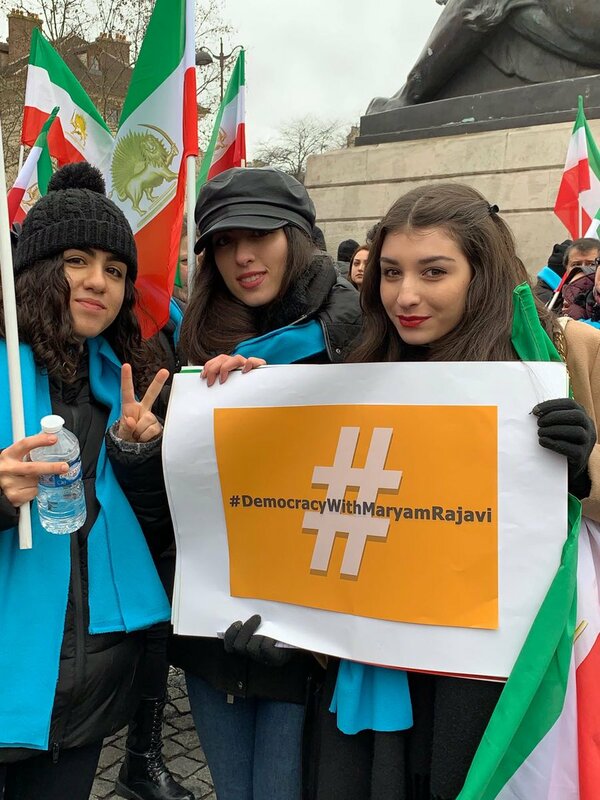 You are the voice of all Iranians who call for the overthrow of the clerical regime and demand the establishment of a republic, based on democracy and separation of religion and state. From here, we would send our warmest greetings to the protesters in Iran, to the freedom fighters of the resistance units, and the standard bearers of freedom all across the nation. On the anniversary of the Iranian people’s anti-monarchic revolution, I pay tribute to all the trailblazers and leaders of that great revolution, particularly to Mohammad Hanifnejad, Saeid Mohsen and Ali Asghar Badizadegan, to Massoud Ahmadzadeh, Pouyan, Bijan Jazani, and Shokrollah Paknejad. Today is February 8th. On the 37th anniversary of the martyrdom of Ashraf Rajavi, Moussa Khiabani and the Mojahedin who accompanied them in their heroic battle, we salute them. Their sacrifice guaranteed the resistance of the people of Iran against the mullahs’ anti-Iranian Caliphate. With the overthrow of the Shah’s corrupt dictatorship and his regime of torture, his true successors, namely Khomeini and Khamenei, took over the helms. Our people faced a whirlpool of horror and darkness which they had to go through in order to achieve freedom. Hail to the people of Iran who have paved most of this tortuous path with their uprisings and battles such as the one on June 20, 1981, the Eternal Light battles and the perseverance in Asharf. Today, we are hopeful and we can see the signs of victory culminated in the uprisings and protests throughout the past year. As Amnesty International attested, 7,000 persons were arrested last year for protesting against the regime. The number of those arrested is of course higher. Furthermore, the mullahs killed a number of protesters in custody and cast it as suicides. They tortured many of the detainees and cracked down on our Arab, Kurdish and Balochi compatriots, on workers, teachers, students and women and youth, and on other sectors of society who have stood up to the regime. The Iranian nation sacrificed 120,000 of her children but did not give in. She never surrendered and the uprisings and revolts continued because this is an uprising until victory. Our nation has started a new era, a new phase, in her battle to bring down the mullahs’ theocratic rule. So, they expect the international community to respect their struggle and recognize their high goal of liberating Iran and the entire world from the evil and mischief of the mullahs’ religious fascism. Western governments bear double responsibility in this regard because they have had a role in preserving this regime particularly in the past two decades. 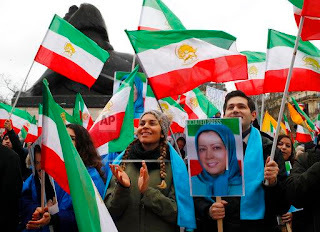 The policy of appeasement offered countless opportunities for the survival of the regime, especially as through obstruction of the road to change in Iran by cracking down on the Iranian Resistance, blacklisting it, and restricting it. It is exactly for this reason that the end to these crises also lies in recognition of the Iranian people’s right to resistance to topple the mullahs’ religious fascism and attain freedom. Such recognition lies in the heart of the solution to the Iranian problem. This is the path to freedom in Iran, and the road to peace and tranquility in the region and the world. Therefore, I would like to stress on the need to blacklist the Iranian regime’s Ministry of Intelligence (MOIS) and the Revolutionary Guard Corps (IRGC) in the U.S. and European Union. Now, our question to those who are still persisting in their worn-out policy of appeasement of the mullahs is, ‘why do you want to prolong the suffering of the people of Iran and other nations in the region? Is it not enough? Indeed, what does it take for you to learn your lessons from the mullahs’ savage terrorism in recent months in the heart of Europe and in the U.S.? Stand up to the clerical regime and prevent their access to missile programs and any form of arms and equipment. The Iranian people and Resistance do not want this regime to have any bullets, or sell any barrel of oil, or spend a single dollar of the Iranian nation’s wealth on suppression and terrorism. The objective of the Iranian people and their Resistance is to overthrow the regime in its entirety. The goal is freedom, democracy, and the sovereignty of our people’s republic. Yes, now is the turn for the mullahs to be overthrown. The selfless women and men who have never given in to the darkness of the mullahs’ tyranny will make the glorious goal of freedom a reality, hand in hand with the resistance units and Iranian protesters. The darkness of theocracy will end with the dawn of freedom. PARIS - Several thousand supporters of an exiled Iranian opposition group marched through Paris on Friday, calling for an end to Iran’s clerical regime 40 years after the Islamic revolution toppled Iran’s monarchy. “As long as we’re dealing with the main state sponsor of terrorism, there is a concern ... But that will never stop us,” MEK spokesman Shahin Gobadi said. The MEK hones to U.S. President Donald Trump’s hard line on Iran, and supports U.S. sanctions on Iran. One speaker, former French Sen. Jean-Pierre Michel, said in an interview that “I’m not a fanatic of Mr. Trump ... but I think the United States is right about Iran.” He chastised Europeans for what he views as their softer approach to Tehran. The 40th anniversary of the 1979 anti-monarchic Revolution will be next month. Iranian people are suffering for about half of century by a brutal religious dictatorship. 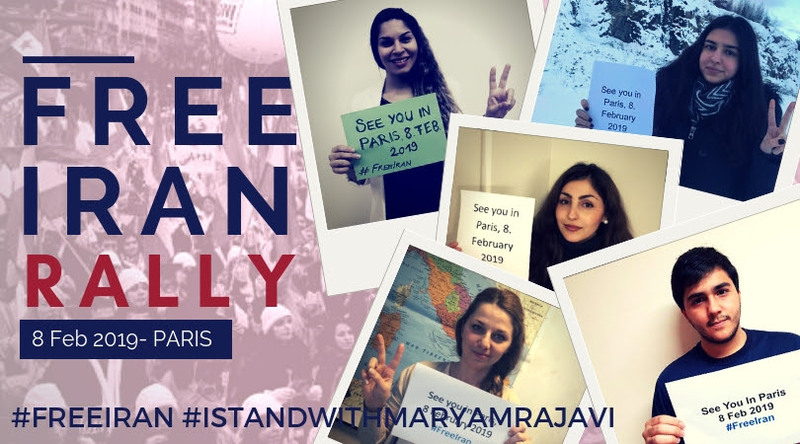 In this occasion The French Committee in Support of Human Rights in Iran (CSDHI) is calling for a major demonstration on Friday, February 8, 2019, against serious and massive human rights violations in Iran and the terrorist acts of the Iranian regime on European soil against its opposition.